Union Yard is open for business. Union Yard recently opened its doors for the first time, featuring a new brand and signage by The Click. 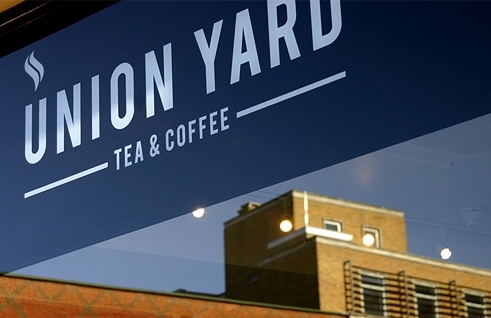 Union Yard is a new independent tea and coffee shop committed to celebrating local produce. In a sea of mock-Italian coffee houses, Union Yard adds a touch of variety for the commuters of Norwich, with a huge range of loose leaf teas and coffees, locally sourced sandwiches and pastries. To read more and see the full project, check the Projects section of our website. You can visit Union Yard at 5a St. Stephens Street in Norwich and follow @unionyard for the latest news.